Your drivers’ safety performance and history is essential to your company’s safety statistics. For nearly all companies with large fleet investments, due diligence in tracking driver performance is critical to mitigating liability. Companies can decrease their risk of liability and unwanted expenses by ensuring that their fleet drivers have clean driving records. For these reasons, Foss National offers our Driver Abstract Reporting Program. 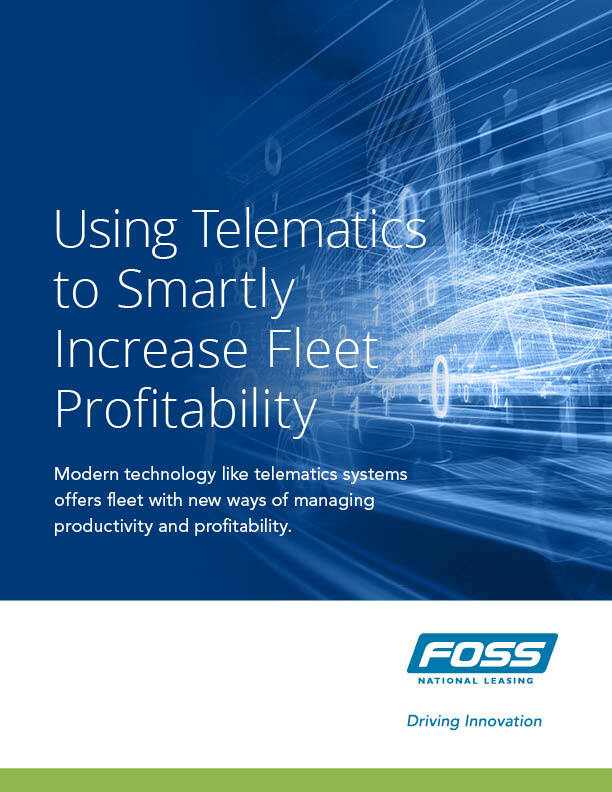 How can you increase productivity and profitability in fleet vehicle use? With telematics! This paper shows how advanced communication technologies can be a wise investment. With your drivers’ permission, we obtain each driver’s driving records from the appropriate provincial offices. Depending on your needs, we can collect records for prospective hires and/or current employees. Records can be gathered on a one-time basis or annually. These driving records are useful for rewarding excellence or for identifying the need for retraining. When collected annually, they are useful for tracking changes in performance over time. Most companies with fleet operations have policies in place for mandatory driver awareness and safety training programs. Provincial driving records are a key aspect of driver safety, and reflect a company’s due diligence and responsible fleet management. This data provides a strong foundation for a safety training program. We recommend that drivers who may present liability risk should be required to take a driver training or retraining, such as our Fleet Assessment and Safety Training (FAST) program.